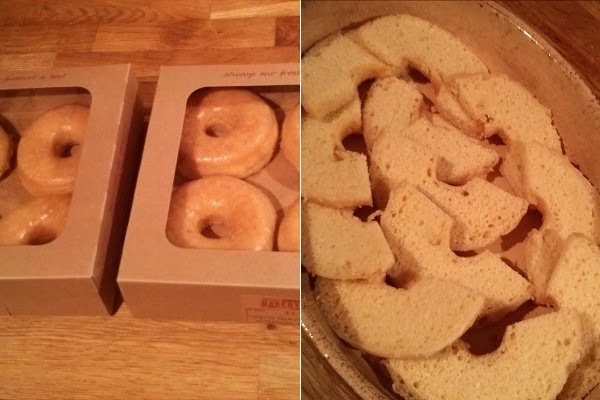 I sliced each doughnut through the middle, then cut them in half, before laying the bottom pieces on the base of the dish. Then it was time to make the custard. I'm not really familiar with powdered custard, but I followed the instructions on the packet and whisked the powder into a jug of boiling water. The result looked pretty disgusting, kind of like pale yellow glue. So I added an egg yolk and a bit of milk into it... may as well have just made proper custard in the first place! 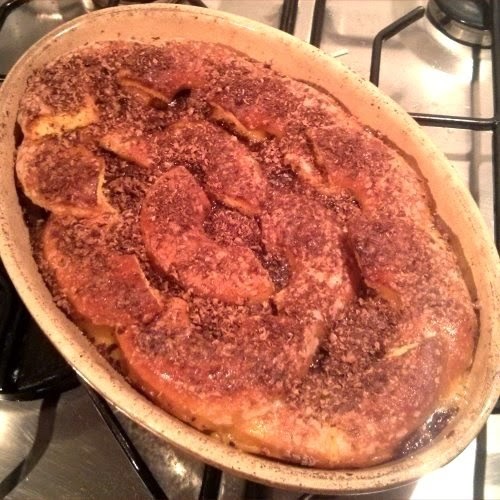 I didn't really want to go the traditional route of cinnamon and sultanas, I had greater plans for my pudding. 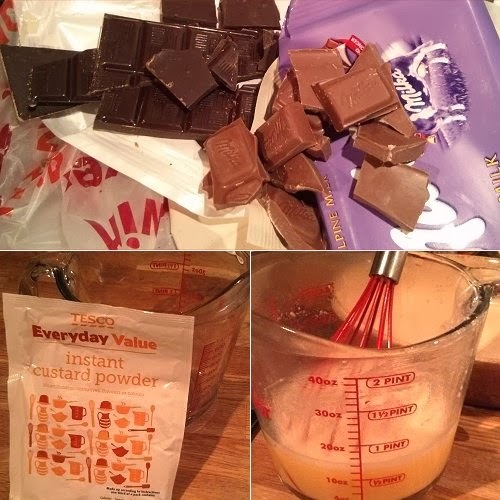 I took a bar of milk chocolate and a bar of dark, and broke them into chunks. 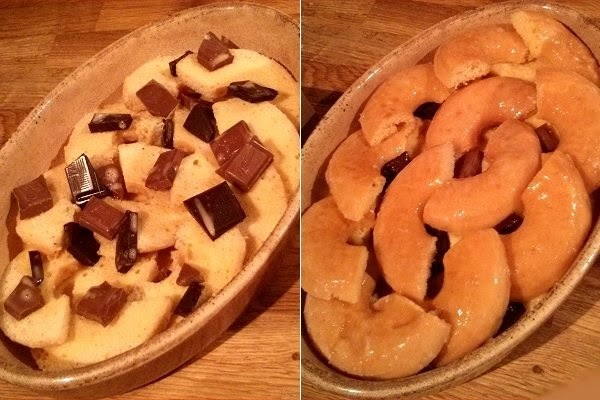 I scattered the chocolate liberally over base layer of doughnuts, before adding the custard, the top halves of the doughnuts, and a bit more custard on top. Then it all went into the oven. After 10 minutes I took the pudding out of the oven, covered it in grated chocolate, and put it back in for another 15 minutes. And then it was done! The top had gone lovely and crispy, the sugary glaze on each doughnut blistering impressively in the heat of the oven. 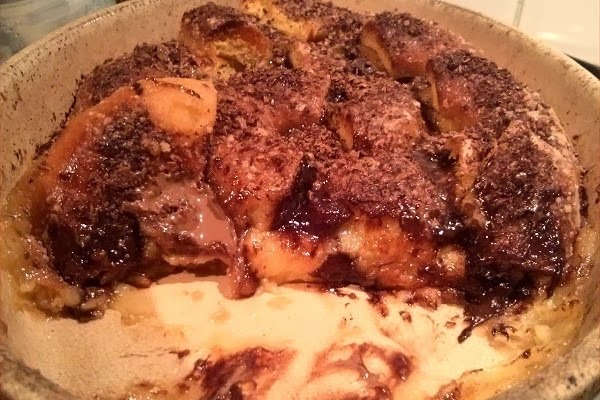 Beneath the crispy top layer, the doughnuts and custard had combined into a deliciously rich and sickly goo, interspersed with plenty of melted chocolate. 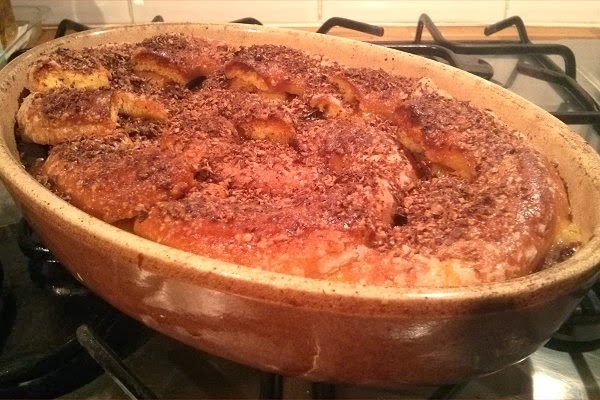 Strangely, I'd say that the texture was actually noticably lighter than a normal bread and butter pudding. In fact, it really did taste bloody delicious. 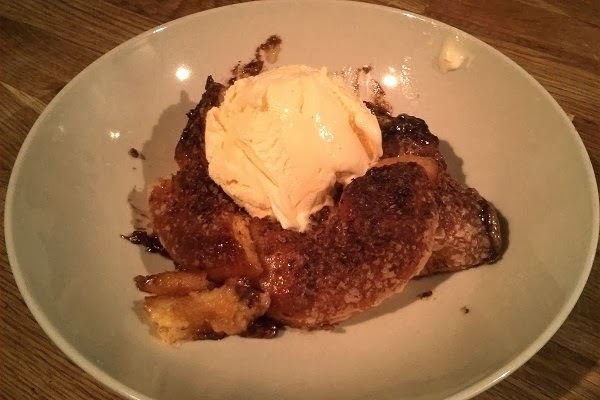 Best bread and butter pudding I ever had was at Gordon Ramsey's old restaurant at Claridges, it was made with Baileys.